Raising My Little Superheroes : The Magic of Christmas! I work in an Early Childhood Learning Centre in the 3 to 5 year old Kindy room. Towards the end of each school year, the children become ratty. They're just over being at school and day care and they all need a holiday! 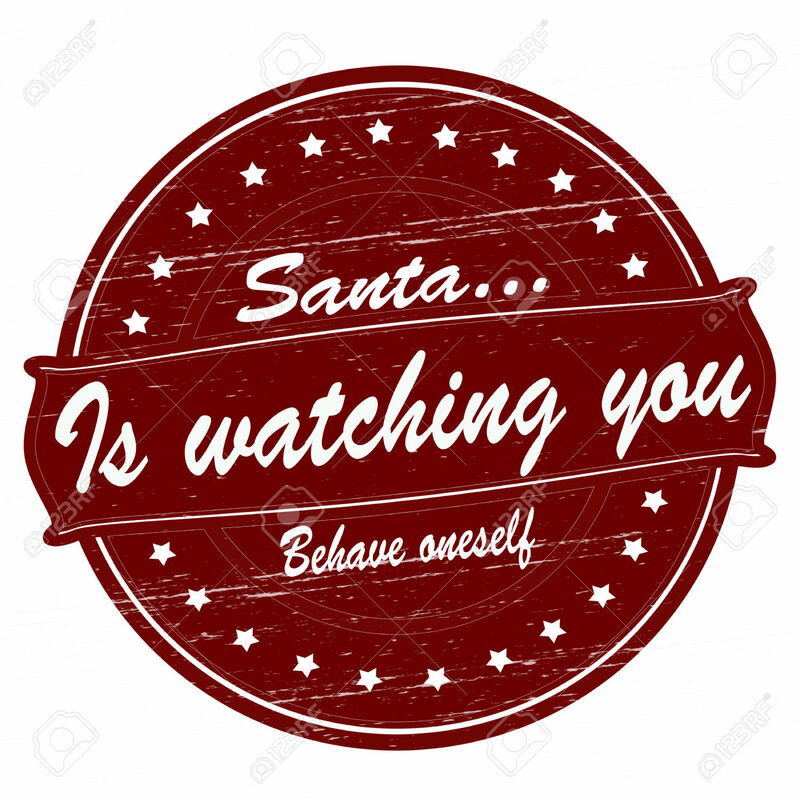 In the past I've tried bribery, I've tried the whole "Santa is watching you" and a few other tricks to no avail. Last week I tried a different tact. 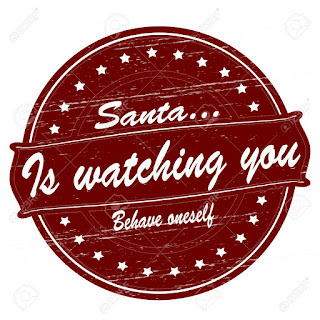 Earlier this year I changed the photo of one of my contacts in my phone to a photograph of Santa as well as changing the name, just in case O started snooping around in my contacts list. I did this in the hope that if I needed to, I could ring "Santa" and have a chat to him about O and L. They both very much believe in the big man in the red suit. On Friday just gone at work, the Kindy children and I were talking about Christmas and the topic of talking to Santa came up. A few of my little charges piped up with "I wish I could say hello to Santa." When I casually mentioned that I happened to have Santa's number in my phone, their little faces lit up! Of course I had to get my phone to show them the picture of Santa and his phone number. They then started asking "can we ring him please?" One of the older children then said "nah, he would asleep now, Santa lives at the North Pole, it might be night time there!" I then suggested that after afternoon tea we could try and ring Santa to see if he was home. They were all very excited about the thought of talking to Santa. 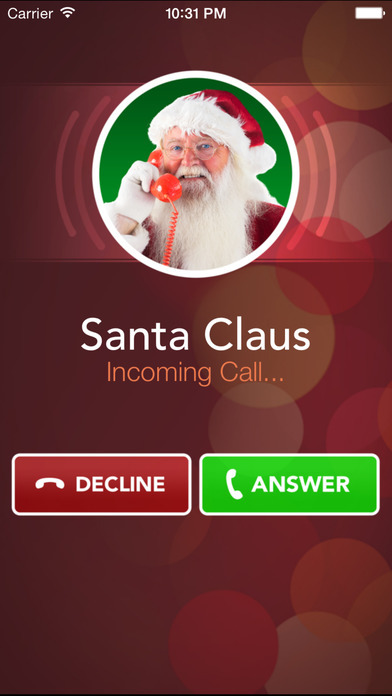 During my lunch break I quickly sent a text message off to "Santa" to check if a phone call would be possible. When I got a reply of definitely back, the plan was set. Just before I was due to finish my shift, I sat down with the Kindy children to call "Santa." They were all sitting there giggling and fidgeting while I made the call. And then a lovely lady answered the phone - Hello. 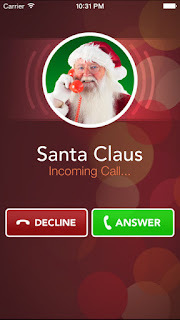 Me: Is this Santa's phone? Other end: Just a moment please and I'll get Santa. This is Santa's helper. Didn't they sit still, stop talking and stare at me! I've not seen them sit that still ever! The looks on their faces were priceless. I could imagine their brains thinking - OMG, she's telling the truth, she really DOES have Santa's number! One of the little boys piped up very loudly with "It's a gnome!" Ah, both are short but Santa has Elves buddy not gnomes! And then we had a chat to Santa. Yes, he was asleep because it is night time at the North Pole but that's okay because he likes talking to girls and boys. He's been very busy making all the toys ready for Christmas. And yes, all the children are on the nice list but they all need to keep listening to their teachers and their Mum and Dad's. Then there was a chorus of "bye Santa" because Santa needed to go back to sleep! It was only a very short phone call, but a very effective one! Might just have to place another phone call to Santa before Christmas. Now to find another set of grandparents to play the roles of Santa and Santa's helper. Don't think a phone call to Santa's helper, aka Grandma, and Santa, aka Duddud, would work as O and L would definitely recognise their voices! Thank you Grandma and Duddud for your help, you both played your roles very well!